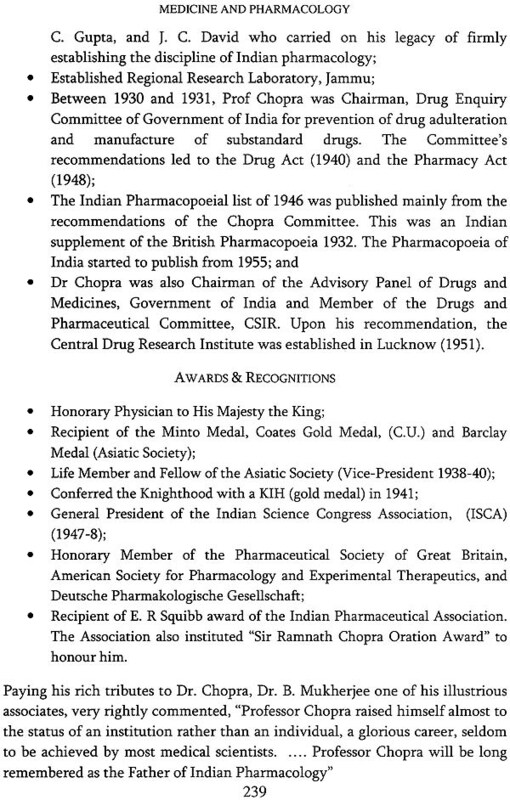 Dr. Amiya Kumar Hati - Dr. Amiya Kumar Hati(b 1935) is former Director, Calcutta School of Tropical medicine. Over a Distingished academic and professional carrer he has headed key departments in medical entomology and parasitology and held several important positions including a visiting professorship at the University of Calgary in Canada. he has been Principal Investigator of projects sponsored by the bill and Melinda Gates foundation and the Department of Science and Technology, government of India. Dr. Hati (MBBS, PhD, MA, LLB) has authored two books -Medical entomology, and Medical Parasitology - and co-authored another entitled, Basic concepts in Immunology. He is the Recipient of the Rabindra Puraskar of the government to West Bengal, and Coates gold medal of the University of Calcutta. I am indeed happy that the National Academy of Science, India has decided to sponsor the publication by the Ramakrishna Mission Institute of Culture of ‘Introduction to History of Science in India’ –a multivolume series commenmorating the centenary of Indian Science Congress Association and sesquicentennial Birth Anniversary of Swami Vivekananda—one of the principal initiators of Institutional Science in India. This series , of which the present one is and introduction, I understand, would start with our science heritage followed by its growth in successive phases culminating in the present challenges, written in a language meant for the common readers. I sincerely hope that this commendable venture would indeed generate interest and awareness of all concerned towards the basic objectives of Science—the search for eternal truth, enrichment of knowledge and alleviation of misery of the humanity as a whole. The present volume provides with a glimpse of a few of our revered scientists who laid the foundation of modern science and explored new horizons in the field. I wish the venture a grand success. This volume traces the history of medicine in India from the earliest times down to the present day. Over the next twelve chapters, the journey of this most distinguished science is presented from remote antiquity to modern times. The task entrusted upon the author is a daunting one - to encapsulate the achievements of people engaged with of medicine over eight millennia, and present it in language easily understood by the young student and lay-reader. 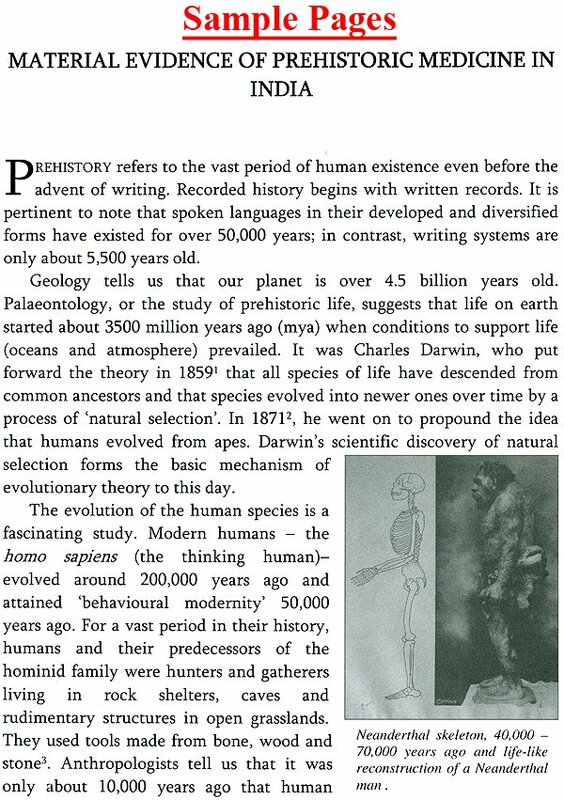 The history of mankind started before humans appeared on the planet. Diseases too, predate human life. 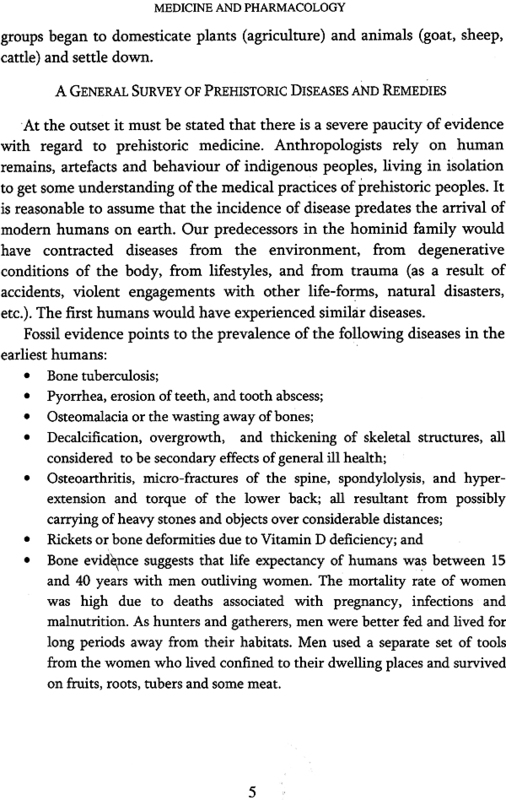 We can reasonably assume that in the distant past, humans suffered from diseases, deformities and disabilities. To address these, they would have resorted to an assortment of remedies known to them at the time. As the famous Indian historian, R. C. Majumdar, has put it; 'Medicine is a natural art born from the instinct of self-preservation. As in every other country, medical knowledge in India must have grown out of the sheer necessity of overcoming injury, sickness and pain'. 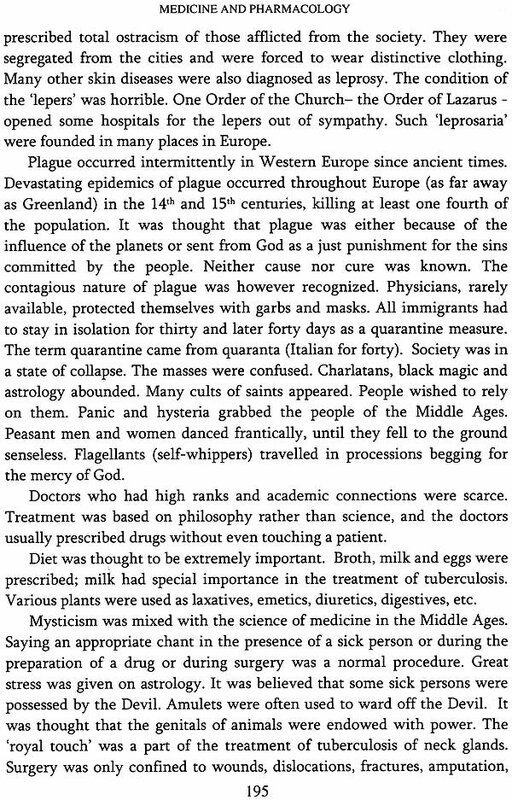 In Chapters Two and Four, we study material and literary evidence of medicine in prehistoric and ancient times. We discuss evidence garnered from Palaeolithic, Mesolithic and Neolithic sites in India as also from archaeological finds from the Indus Valley Civilization or what is known today as the composite Sindhu - Saraswati culture. 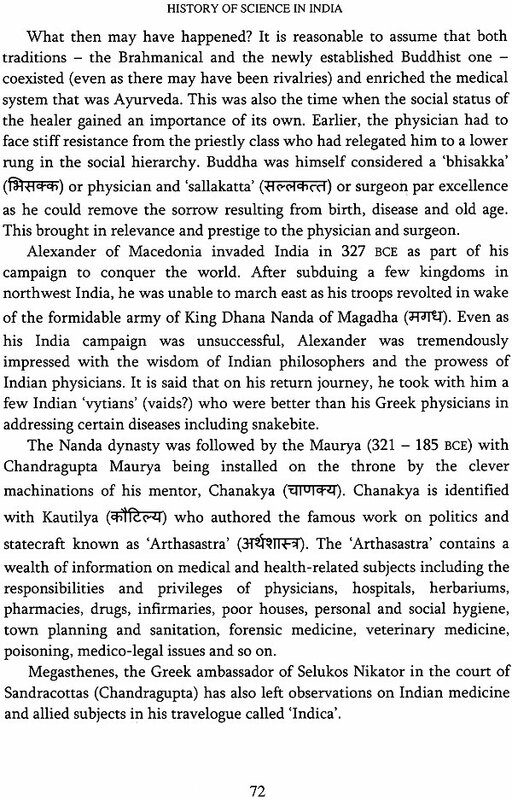 In Chapter Four we review medical references in Vedic literature and in the Ramayana and Mahabharata. 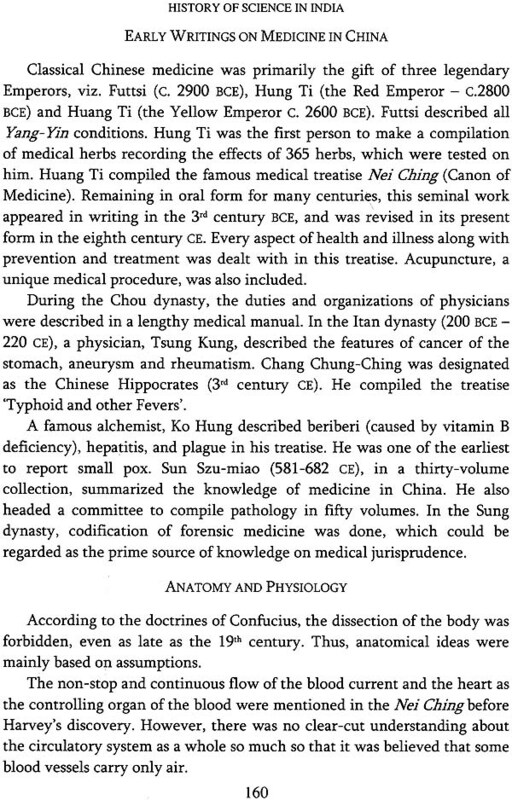 Chapter Three is dedicated to primitive or tribal ethnomedicine. Over 650 indigenous tribes have survived in India to this day. They have lived, from times immemorial till recently, in remote forests and hilly tracts away from 'civilizing' influences. They have addressed health issues and survived over millennia using traditional health practices that combine occult rituals with herbal/folk medicine. They have deep knowledge of their environment, especially of the medicinal values of the flora and fauna of their surroundings. It is this knowledge we seek to study in this chapter. Chapters Five, Six and Seven are dedicated to various aspects of A yurveda - conceptual, practical, and historical. 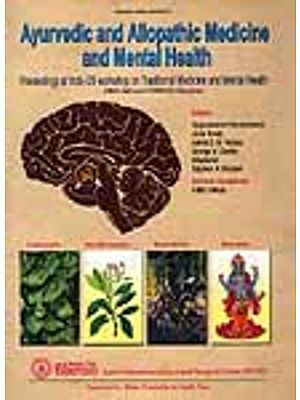 Ayurveda was a fully developed medical system by 1000 BCE. We discuss the chequered history of Ayurveda in some detail, its highs and lows and its revival in modern times. 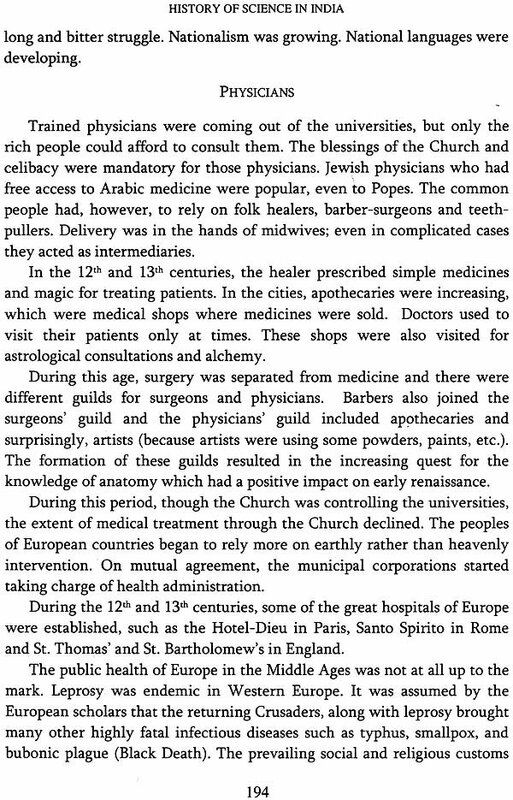 Chapter Eight discusses three very important systems of medicine that have come down to us from ancient times. 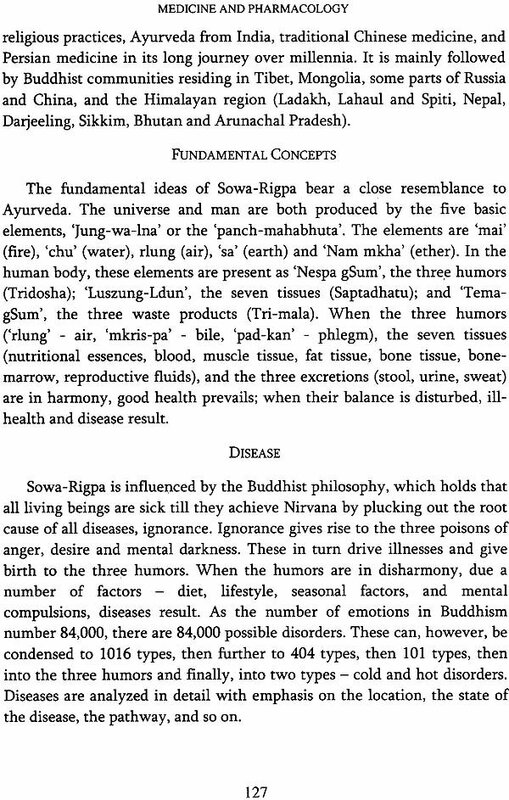 These are the Yoga, Siddha and Sowa Rigpa (Tibetan) systems. 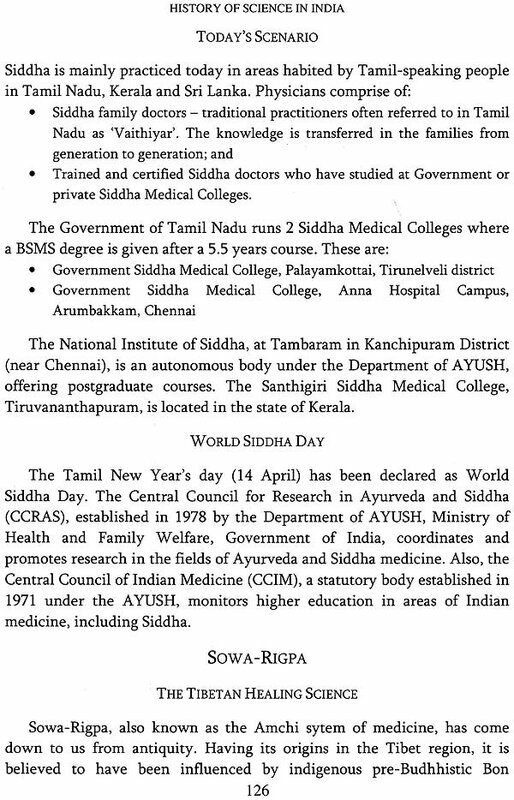 Whereas certain aspects of the Yoga system were associated with physical postures, and exercises are universally popular and accepted today, Siddha is restricted to the Tamil-speaking areas in India and Sri Lanka. The Tibetan system of medicine, on the other hand, though it was originally followed by the Buddhists in Tibet, the Himalayan regions, parts of Siberia, China and Mongolia, is today finding a place among Indian and Western audiences. 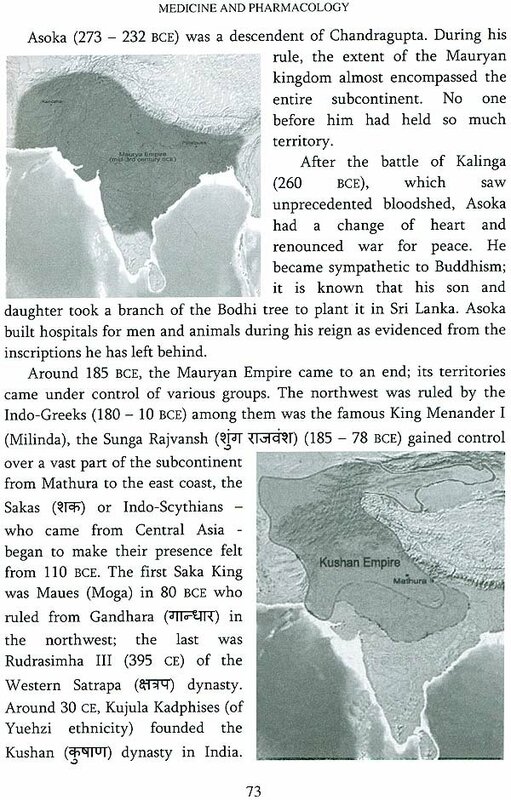 Chapter Nine studies Unani medicine. Unani medicine has its origins in Ionia in Greece, and was brought to India by the invading Muslims. Unani took its root in Indian soil and flourished over the ages. It is today accepted as an Indian system of medicine; India is the largest exporter of Unani medicines among countries where such medicines are used. 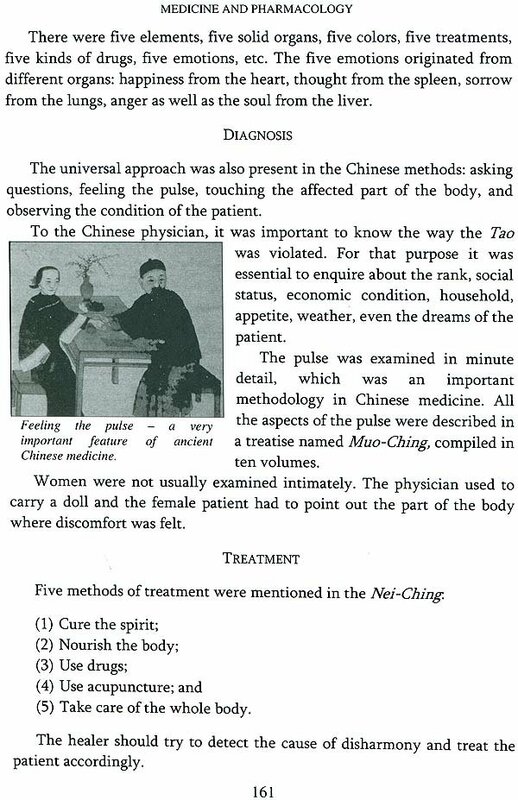 Chapter Ten is a survey of the medical systems that existed in the world outside of the Indian subcontinent - Egyptian, Mesopotamian, Chinese, Greek, Hebrew, Roman, Arabic, European and Western medicine. Developments in Western medicine have been brought up-to-date till 2014. Chapter Eleven focuses on Western medicine in India that was brought into the country by the Europeans during pre-colonial and colonial times. Western medicine dominates in India today as it does across the world. The chapter discusses the growth of modern medical education and institutions in the country leading up to the partition and independence of India from the British in 1947. 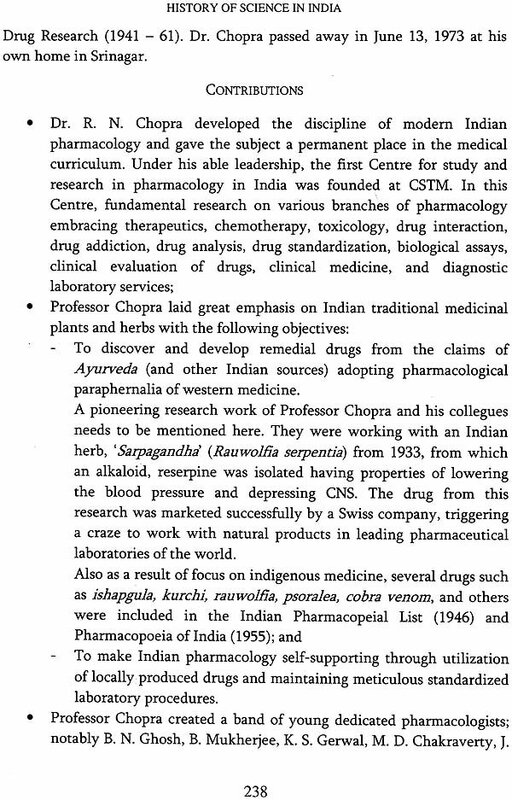 Chapter Twelve highlights homeopathy - a separate system of medicine brought by Westerners to India. 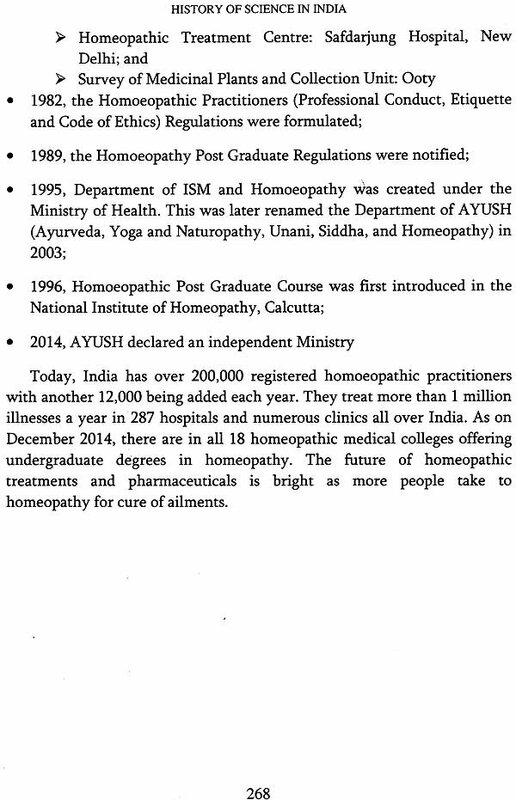 Homeopathy has received wide acceptance in the Indian public; there are around 187 learning institutions in homeopathic medicine in the country. Independence. 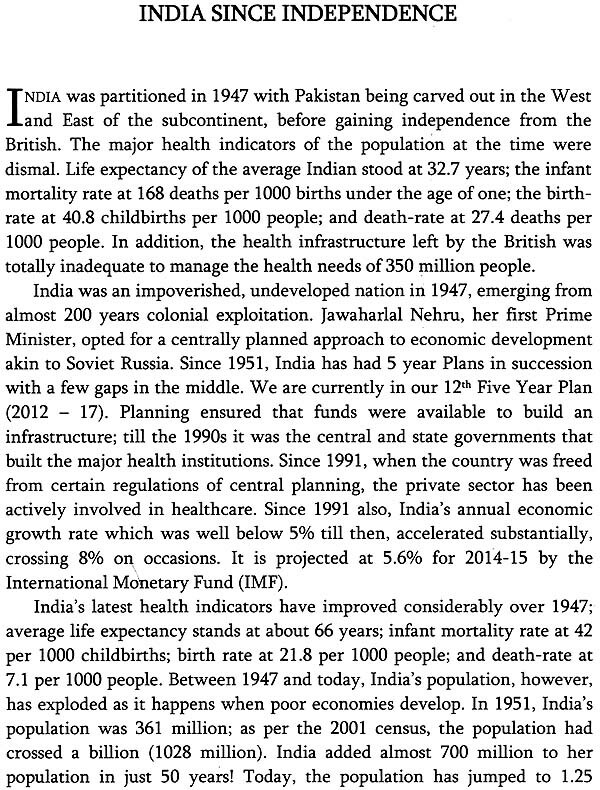 It discusses health education and research, health programmes underway, the various professional bodies and medical societies, and the healthcare sector in India as it currently exists. It also discusses future challenges facing the country. This book has been written essentially for the young Indian reader and laypersons. It is not a detailed reference work on the history of medicine in India; it is more a survey that provides essential information and important highlights. Should the reader be interested in pursuing a detailed study of different aspects of a particular system or different systems, there is a whole range of literature available for the purpose. It is hoped this book will both inform and enthuse the reader.